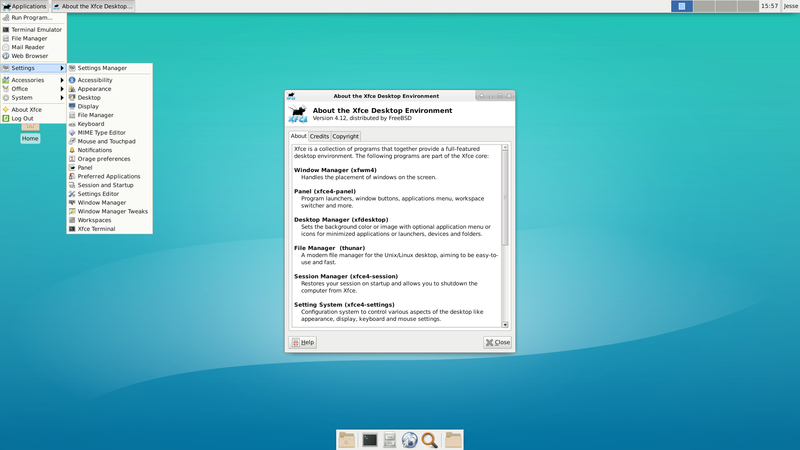 LinuxPPC was a Red Hat 6.2-based distribution for the PowerPC platform. It was no longer supported. Rate this project Glen Barber has announced the availability of the third release candidate for FreeBSD 12.0. Unless there are any unexpected showstopper bugs, this should be the last release candidate before the final release on 11th of December: "The third RC build of the 12.0-RELEASE release cycle is now available. A summary of changes since 12.0-RC2 includes: fix for vulnerabilities in NFS server code (FreeBSD-SA-18:13.nfs); the if_ixlv.ko kernel module had been added as a link to if_iavf.ko for backwards compatibility when upgrading from earlier releases; various memory leak fixes; various miscellaneous fixes. A list of changes since 11.2-RELEASE is available in the releng/12.0 release notes. Please note, the release notes page is not yet complete, and will be updated on an ongoing basis as the 12.0-RELEASE cycle progresses. Virtual Machine disk images are available for the amd64 and i386 architectures. The partition layout is: 16 kB - freebsd-boot GPT partition type (bootfs GPT label); 1 GB - freebsd-swap GPT partition type (swapfs GPT label); 20 GB - freebsd-ufs GPT partition type (rootfs GPT label)." Read the rest of the release announcement for further information. Download: FreeBSD-12.0-RC3-amd64-dvd1.iso (3,703MB, SHA512), FreeBSD-12.0-RC3-i386-dvd1.iso (3,191MB, SHA512). The FreeBSD team has announced the project's first release in its 12 series. FreeBSD 12.0 features a number of software updates, including OpenSSL 1.1.1, OpenSSH 7.8, and the Clang compiler has been updated to version 6.0.1. TRIM support has been improved for the UFS filesystem and the bhyve virtualization software can now be run inside a jail. "The FreeBSD Release Engineering Team is pleased to announce the availability of FreeBSD 12.0-RELEASE. This is the first release of the stable/12 branch. Some of the highlights: OpenSSL has been updated to version 1.1.1a (LTS). Unbound has been updated to version 1.8.1, and DANE-TA has been enabled by default. OpenSSH has been updated to version 7.8p1. Additional capsicum(4) support has been added to sshd(8). Clang, LLVM, LLD, LLDB, compiler-rt and libc++ has been updated to version 6.0.1. The vt(4) Terminus BSD Console font has been update to version 4.46. The bsdinstall(8) utility now supports UEFI+GELI as an installation option. The VIMAGE kernel configuration option has been enabled by default." Further details can be found in the project's release announcement and in the release notes. Download: FreeBSD-12.0-RELEASE-amd64-disc1.iso (851MB, SHA512, signature), FreeBSD-12.0-RELEASE-i386-disc1.iso (722MB, SHA512, signature).